The supple, firm, smooth skin of youth that gives way to laxity, wrinkles, and lost volume as we age happens, in part, due to diminished production of a naturally hydrating substance in the body called hyaluronic acid. 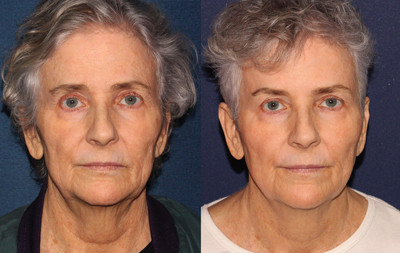 The Restylane family of dermal fillers is an effective way to address various effects of aging. The entire Restylane line is composed of a specially-formulated version of hyaluronic acid to smooth lines wrinkles, volumize hollow areas, and supplement your body’s natural stores of moisture to restore a more natural, youthful appearance. One area that is particularly susceptible to the effects of aging in the form of lines, wrinkles, and laxity is the area around the mouth. In other words, this is especially true for specific emotional expressions: laughing, smiling, even frowning. Our board-certified, professional dermatologists have over 100 years of combined experience, and our skin experts will work to understand your aesthetic goals and determine the best treatment plan for you. That’s why we’re happy to provide two members of the Restylane line, Refyne and Defyne, that are designed to correct moderate to severe lines around the mouth while still allowing for freedom of expression and facial movement that’s natural and seamless. 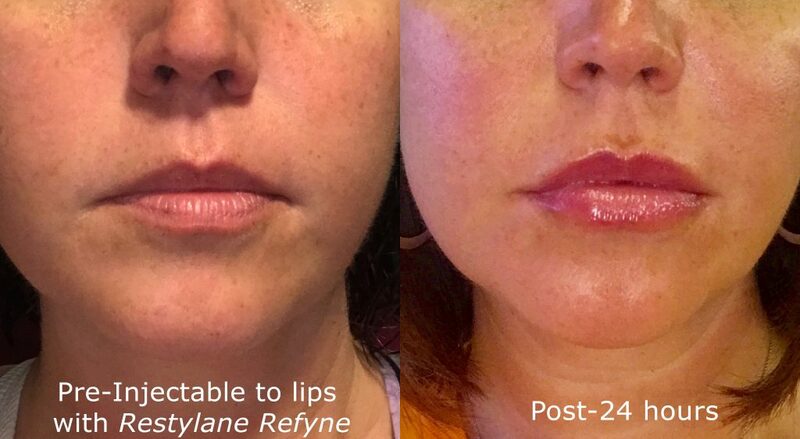 The technology behind the effectiveness of Restylane Refyne and Restylane Defyne is called XpresHAn, which gives the hyaluronic acid filler gels a softer, more pliable consistency. This allows the two treatments to deliver more fluid and natural-looking movements when you make facial expressions such as smiles or frowns. Despite the fact that both Refyne and Defyne are intended for correction of nasolabial folds and marionette lines, there are slight differences between them. Refyne has softer properties, making it the more flexible of the two. 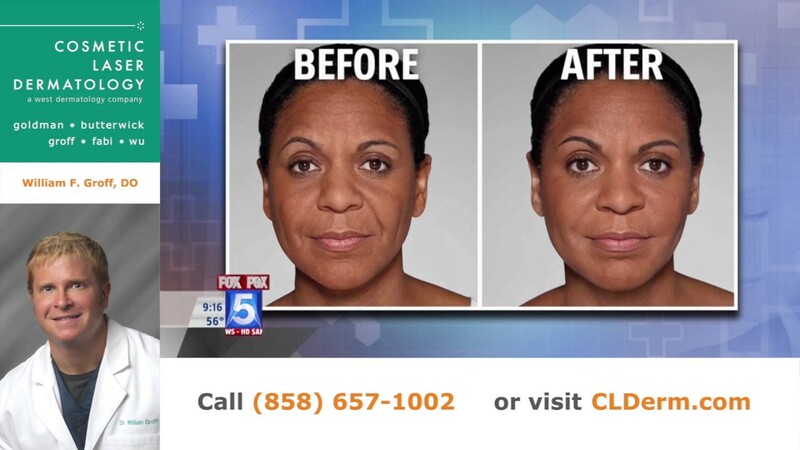 This means it’s suitable for patients seeking gradual improvement of moderate to severe nasolabial folds and diminishment of marionette lines. Defyne is the firmer solution; designed to improve laugh lines that are deeper and more severe. It penetrates deep below the skin surface to provide strength and support to collagen and elastin fibers responsible for the firmness and pliability of youthful, healthy skin. The result is tighter, stronger, more resilient skin and the perfect choice for deeper laugh lines or folds. Refyne or Defyne: Which Is the Best Choice? In general, Refyne is the choice for shallower, less severe laugh lines because of its softer properties, which allow it to deliver subtler effects. If you’ve never undergone facial filler treatments before, Refyne is a good “starter” treatment. Restylane Refyne has changed the game of facial fillers with the natural improvements it provides. For deeper, more severe laugh lines and marionette lines, Defyne is the choice because of its firmer properties that offer support from within the skin. Yet, firmer doesn’t mean a “frozen” face; Defyne still offers pliability that makes for natural-looking expressions and is ideal for such facial creases and lines that may not have responded to previous other treatments. A combination treatment with Refyne and Defyne utilized together in the same session is another option. This facial rejuvenating procedure will enhance the effects of treatment by addressing moderate wrinkles in one place while correcting more severe lines and creases elsewhere. Is a combination treatment right for you? Only a consultation with our friendly, warm experts can determine this, so join over 150,000 of your San Diego neighbors and schedule a consultation today at Cosmetic Laser Dermatology. Restylane Refyne and Defyne are different from other dermal fillers because of the special formulation of hyaluronic acid that reduces the appearance of moderate to severe facial lines and creases while still allowing for natural-looking expressions and facial movement. At Cosmetic Laser Dermatology, our physicians are expert Restylane injectors who actually administer Restylane Refyne and Defyne treatments themselves and are one of the few dermatology practices in San Diego where board-certified dermatologists do so. Treatment at our state-of-the-art offices is highly refined and usually takes less than an hour, although that depends on the extent of your treatment and the number of injections you receive. Our doctors perform the procedures with Refyne or Defyne with expert technique using ultrafine needles to minimize pain and discomfort, although, if you prefer, you can have a topical numbing cream applied to further enhance your comfort. The effects of both Refyne and Defyne last longer than those of other facial fillers, as they are clinically proven to give you great results for up to 12 months, often longer, which is double the time than most other dermal fillers provide. Because both Refyne and Defyne are formulated using “next-generation” technology, the two treatments result in little to no downtime. There are also few side effects, which are typically mild, limited to the treatment site and including swelling, bruising, soreness, tenderness, redness, and itching; occasionally, bumps arise around the area, too. However, most side effects should dissipate within a week. To know more about Restylane Refyne and Restylane Defyne, contact Cosmetic Laser Dermatology today to see how either treatment – or a combination procedure – could give the results you’re looking for. Our staff is dedicated to the health, safety, and beauty of your skin. Q: How are Restylane Refyne and Restylane Defyne different from other Restylane treatments? A: The difference between Restylane Refyne and Defyne and other Restylane treatments is the specific areas they target. 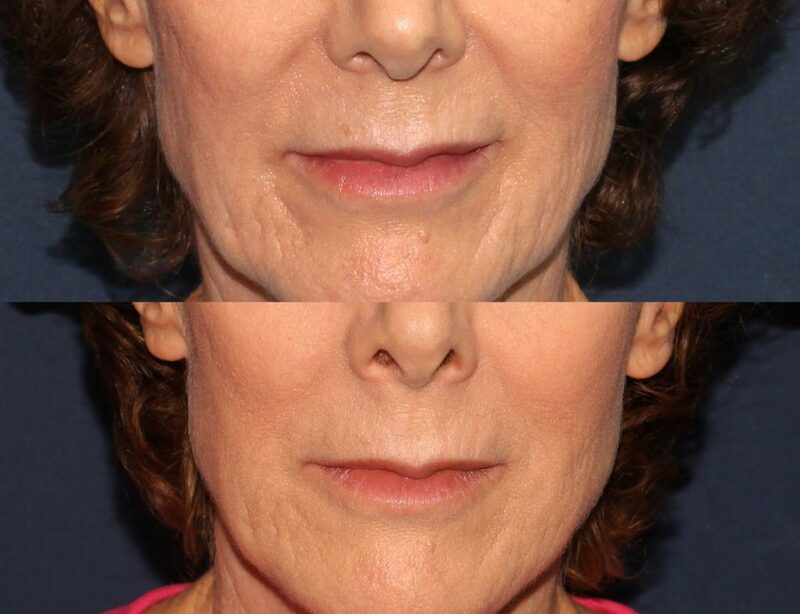 Both Refyne and Defyne target and help smooth lines around the mouth (nasolabial folds and marionette lines). Traditional Restylane helps add fullness and volume to various types of facial wrinkles as well as to the lips. Restylane Lyft is designed to volumize the midface area, cheeks, and back of the hands, while Restylane Silk is formulated to address fine lines and wrinkles, particularly around the lips and mouth. Q: If both Restylane Refyne and Restylane Defyne are intended to address nasolabial folds and marionette lines, how are they different? A: Refyne addresses less severe lines and creases by integrating with your skin to give subtle support for natural-looking movement and expressions, while Defyne targets more severe folds and creases while still allowing you to seamlessly express yourself through a wide range of natural-looking facial movements. Q: What is hyaluronic acid (HA)? A: HA is a natural hydrating substance in your body that is responsible for helping your skin be soft, pliable, youthful looking. Aging can cause us to produce less and less HA, causing our skin to sag and wrinkle. Both Refyne and Defyne infuse the skin with hyaluronic acid to restore your skin’s soft, youthful look. Q: Does treatment with Refyne or Defyne hurt? A: Typically, there is little to no pain or discomfort because we use ultrafine needles to administer treatment, and we do it with techniques and skill born of experience and training. Often, the injections are described as feeling like small pinpricks that don’t cause much discomfort. However, to enhance comfort, a topical numbing cream can be applied prior to treatment. Q: How long does one session of treatment take? A: Typically, a single session lasts no more than an hour, although it depends on the severity of the lines and folds, the number of injections you receive, and your aesthetic goals. With typically little to no downtime, you can easily go right back to your day. Q: When will I see results with Refyne and Defyne? A: Although full results may not be in full effect for up to 2 weeks, typically, subtle results begin to show within days. Q: How long do the results from Restylane Refyne and Defyne last? A: Although results vary, both treatments provide improvement that typically last as long as 12 months. You may choose to return to Cosmetic Laser Dermatology as you see fit for follow-up sessions to maintain the effects. Q: What side effects are there? A: Side effects from Restylane Refyne and Defyne are typically mild and temporary, and could include swelling, tenderness, bruising, itching, redness, and/or lump formation around the injection site(s). However, they should subside within 1-2 days. Q: Is there much recovery or downtime? A: Not at all, if any. While mild swelling and other side effects could occur, it shouldn’t interfere with your daily activities. Alternatives to Refyne and Defyne include the Juvederm family; also, a combination treatment with Juvederm is often chosen for even more enhanced results. Sculptra is a collagen-boosting treatment which can improve facial volume. To find out more about Restylane Refyne and Defyne, as well as other options, contact Cosmetic Laser Dermatology for a consultation.